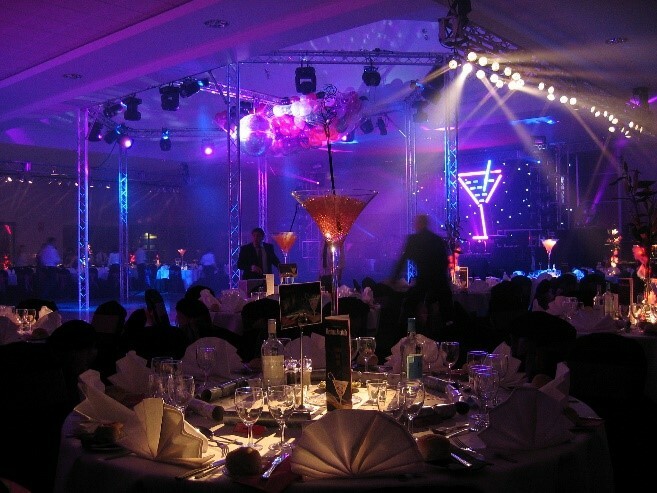 Event lighting is a massively important aspect of any event, take it from us guys, we should know. If the lights are too bright your event may seem stark and cold. If your lights are too dark, guests may miss principal elements of your event and design, or worse still, trip and fall! It’s all about getting the right balance to create the perfect ambience for your event. Uplighting is used to create atmosphere by colour-washing large walls or highlighting architectural features. Often, rooms can look bland and boring without it, especially if you’re hosting your event in a venue such as an empty ballroom, gallery or conference centre. These types of venues don’t have a lot of character, so you’ll need to create ambiance with more lighting, scenery, and decor. It’s a great way to tie in a colour that goes with your theme and create a real wow factor upon guests entering the room. 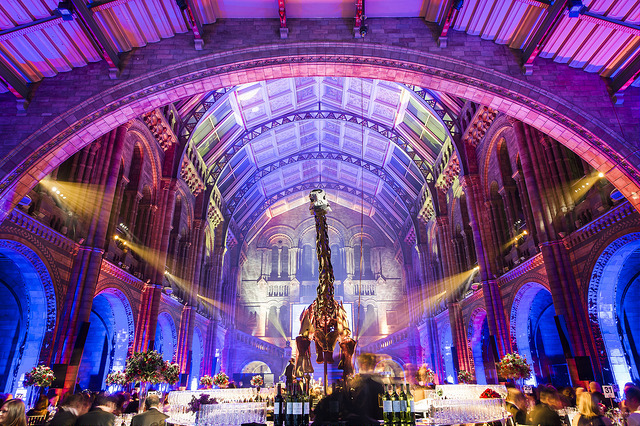 Below is one of our favourite uses of uplighting – this venue had plenty of interesting features to illuminate! 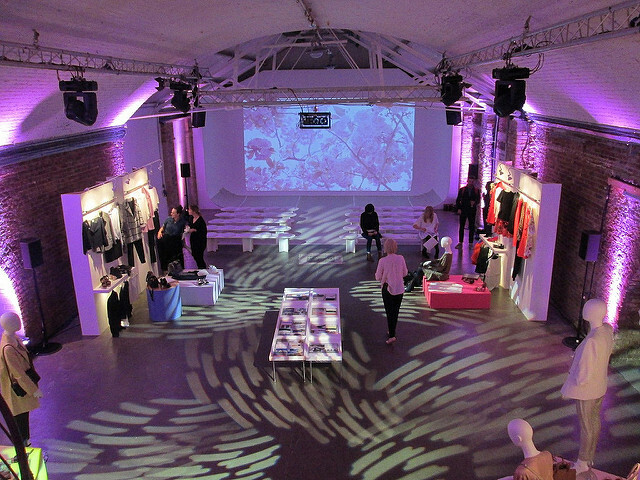 Pin-spot lighting directs attention to certain parts of your event. It creates a dramatic effect that can transform centrepieces, decor elements, and table settings – perfect for event lighting! Not only do pin-spot lights add drama to your event, but they also provide a separation that is often needed between dark table linens and centrepieces allowing elements to pop and stand out, creating a dynamic and visual experience. Lighting shows are a way to grab some serious attention. Choreographed moving and flashing sequences that often accompany powerful music tracks to make the hairs on the back of your neck stand on end. A great way to open or close a show. 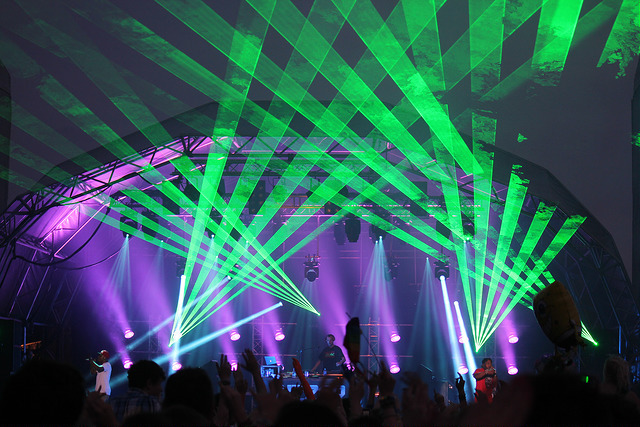 Our lighting designers can design a custom show specifically for your event integrating sound, lighting, and video, to give your event a personal, bespoke touch. Lighting shows are often used at corporate events during awards ceremonies or conference openers to hush the crowd and build excitement for the main event. We also use them to create a dance vibe at festivals, parties, and high energy concerts. Check out this light show demo we did last year! A gobo is a beam of light with a metal or glass stencil over it that creates a pattern. Gobos can project any design or pattern including abstract shapes, pictures, and company logos. They can be projected onto ceilings, floors, and walls, and are a great way to add visual interest to any event. Gobos are best used to promote brands – seeing your brand’s logo in bright crisp lighting will create a visual impact that will definitely not go unnoticed. Looking for event lighting? You’ve come to the right place! We don’t just lay the cables. We understand the way you want to express yourself. Whether you just need event lighting, or you’re after a stage, video screens, sound and a set, we can help you to put on a show that lingers long in the memories of your audience. Ready to make your next event a success? Get in touch and see how we can turn your ideas in reality and inspire your audience!